It’s been a minute since we last looked at the Ohio Valley Conference but this weekend looks to be the biggest week of the season so far. In the past two weeks, we’ve seen Tennessee State stay undefeated on the season, Austin Peay finally ended a 29-game losing streak with a blowout 69-13 win over Morehead State, and UT-Martin 1-up’d JSU’s performance from week zero with a beat down of UTC. 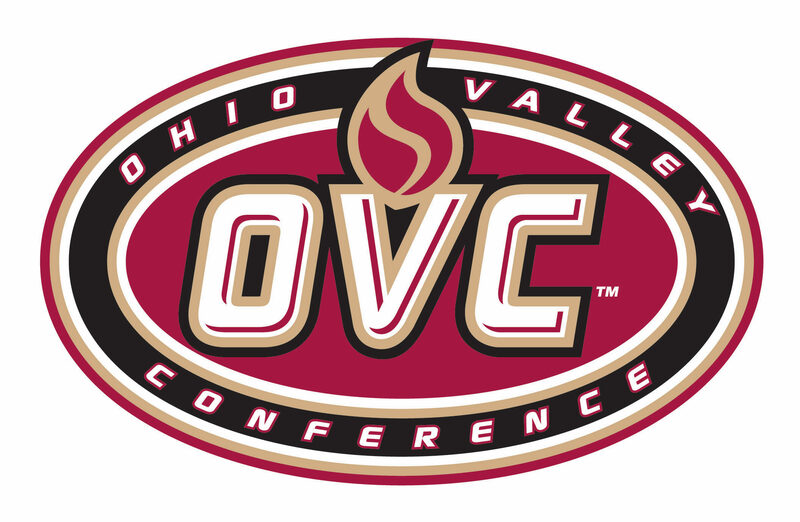 This week will open OVC play for every team in the conference sans JSU who will be hosting the Liberty Flames. This week’s premier OVC match up is Tennessee State at UT-Martin as the current number 2 and 3 teams in the conference try to establish themselves as the favorite to end JSU’s current reign of dominance on the conference. If both teams continue to play at a high level this game may end up with huge implications for playoffs and determining the OVC champion/ auto-bid. BUT. It’s only week 4 and there are still a LOT of unknowns so I’m not going to get too far into it now. The big thing to know is this is the most important game in the OVC this weekend. With Tennessee State 3-0 on the season and an FBS scalp and UT-Martin putting together one of their most impressive wins in recent memory at Chattanooga this past weekend this game is sure to be a good one. This match up will feature two dominant rushing attacks and will likely come down to who can stop the run. Currently UT-Martin has the 7th ranked rushing defense in the nation as they’ve only allowed an average of 1.96 yards per rush on the season. Tennessee State is ranked 15th in rushing defense with an average of 2.62 yards per carry allowed. Offensively the Skyhawks have been committed to running the football and have done it well. The Skyhawk’s Ladarius Galloway is currently the #2 ranked running back in the nation in rushing yards with 424 yards on 62 carries (6.84 YPC) for 2 TDs. Tennessee State, however, is ranked higher in total rushing offense. The Tigers are ranked #22 in the nation in rushing with an average of 213 yards per game. The only problem is the Tiger’s leading rusher is quarterback Treon Harris. Harris currently accounts for more than half of the Tigers offense and a third of their rushing yards. If the Skyhawks can limit Harris running the ball they will likely be able to stifle Tennessee State’s offense. Harris has only completely 51% of his passes so far this season and I think the Tigers will have trouble moving the ball on the Skyhawks’ stout defensive front. With both teams still looking for their first win of the season this game will be a big one for both ball clubs. With both head coaches entering their second year at the helm the big questions will be whether Mark Elder can start the process to return Eastern Kentucky back to their former glory as one of the OVC’s premiere football programs and whether Coach Marcus Satterfield can right the ship at Tennessee Tech and improve on last year’s 5-6 mark. Tennessee Tech hasn’t had a winning season since winning the OVC in 2011 when they posted a 7-4 record. This game will likely come down to turnovers and which team is able to cash in for touchdowns in the red zone. Tennessee Tech will need to learn to protect the football if they want to have any shot at defeating the Colonels. The Golden Eagles have turned the ball over 10 times this season. That’s a losing recipe. On the other hand, the Colonels offense needs to be able to stay on schedule and not get behind the sticks. Finding any semblance of a running game can help with that. This will be the Colonel’s first game against FCS competition and after solid showing at WKU and Kentucky I expect a good game from EKU. Eastern Illinois will open their OVC season with Southeast Missouri State as they look to make some noise in the conference and earn a trip back to the playoffs. Southeast Missouri is coming off an 0-3 start after struggling against Kansas and Southern Illinois and lost a close one to Dayton. The Panthers most obvious issue has been their lack of a running game. The Panthers rank in the bottom 10 nationally in rushing offense and will need to help quarterback Mitch Kimble if they want to find themselves competing in the conference this year. SEMO will need to build consistency on both sides of the ball and limit turnovers if they want to save their season. SEMO was unable to sustain and finish drives against Dayton and has turned the ball over 7 times through 3 games this season. Austin Peay ended a 29-game losing streak last week in a dominating 69-13 win over Morehead State. Their win over Morehead State was the largest margin of victory Austin Peay has had since 1948. Austin Peay’s other two games have been against FBS opponents and despite the tougher competition Austin Peay is currently ranked 33rd in the country in total offense while averaging 417 yards per game. They are ranked 7th nationally in rushing offense. Defensively they are ranked higher than Jacksonville State as they’ve only allowed an average of 292.7 yards per game. Murray State on the other hand is still trying to find their offense and fill the void left by the departure of KD Humphries. Murray State has struggled so far this season and it doesn’t show any signs of getting any better anytime soon. I expect Will Healy to keep the ball rolling and carry the momentum from Austin Peay’s win last week and likely move to 2-0 against the FCS. After coming off a dramatic win over Indiana State the Liberty Flames will have momentum as they try to extend their winning streak to 4. One Problem: They have to go through JSU’s defense to do it. Last time these teams met JSU won handily 48-19 after a 27-3 halftime lead. JSU limited Liberty to just 181 yards of total offense and just 44 rushing yards. Unfortunately for Liberty, this defense is even better than last years. Unfortunately for JSU, Liberty’s offense is a completely different animal from what we saw in Lynchburg a year ago. Liberty’s QB Buckshot Calvert took over as the full-time gunslinger this season and the offense has been humming since then. Liberty’s offense has averaged 490 yards and 49 points per game with Calvert averaging 369 yards and 4 TDs a game. JSU’s defense will have to get pressure to slow down Calvert or this game could get away from them. In years past, JSU’s offense was good enough to get into shootouts with other high-powered clubs and still win and I’m not sure that JSU still has the offensive horsepower to win a shootout. I think the defense will show why Georgia Tech HC Paul Johnson hailed them as the best unit GT will play this season.